Whether you are an English rose or have naturally golden skin, this natural makeup look will forever be in style. 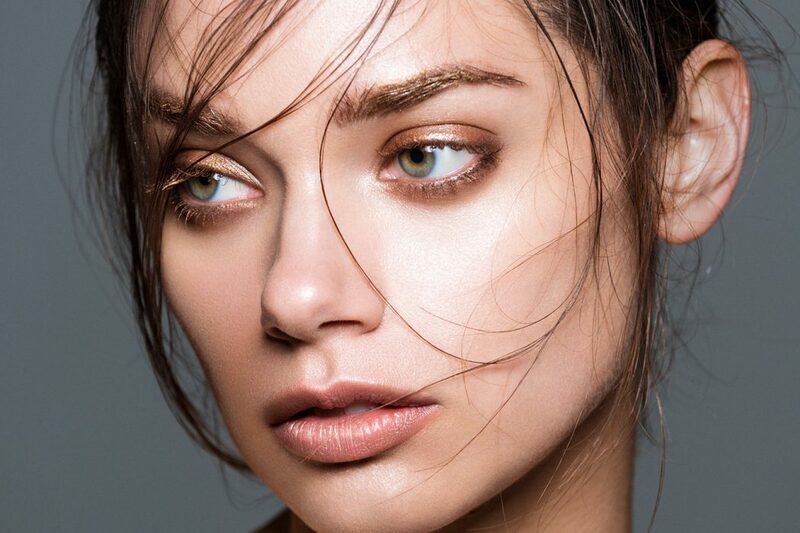 To recreate this fresh, dewy look Ilia Beauty have broken each step down so you can try out it for yourself at home. Feeling the need for a bit of a glow? Ilia Beauty have a great tip for adding some luminosity and warmth to the skin – take the Ilia Beauty Sheer Vivid Tinted Moisturiser SPF20, and mix with one of the Ilia Beauty Illuminators to add a healthy glow to the skin. For this look, swatch Sway Illuminator on the back of the hand and blend with a small amount of Sheer Vivid Tinted Moisturiser SPF20. Dab on the skin and blend. The product will take a few minutes to set. During this time, help even your skin with the Ilia Beauty Vivid Concealer. Apply concealer under the eyes and along any area of redness or discolouration. Run Cosmic Dancer Illuminator along cheekbones and buff on with fingers or a buff brush. Accentuate the lids with Ilia Beauty Silken Shadow Sticks. ‘In Between Days’ a burnt gold, and ‘Age Of Consent’, a brown, ash shimmer combine to create this natural makeup look. Add multiple layers of Ilia Beauty Mascara to the lashes. Tip: try using the Macao which can be blending through the brows. Finish this look using the Ilia Beauty Tinted Lip Conditioner in ‘These Days’ for a sheer shimmer with a touch of bronze. If you’re based in London and want to try this look – book in a FREE Detox Your Make-Up Bag consultation with our resident green beauty experts instore. They’ll talk you through our selection of organic skincare and natural make-up to help you find the ones that work for you. Get the details here.